Radio Mess | Luxembourg’s Popdelicious Mix of Today’s Best Music! 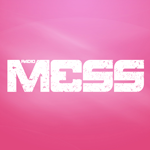 Radio Mess is Luxembourg’s Popdelicious Mix of Today’s Best Music! Listen and favorite on Tunein, and take Radio Mess with you on the Tunein App! Listen and favorite on Orange Radio, and take Radio Mess with you on the Orange Radio App!